Steve Hooper Landscapes has been established since 1981. Steve Hooper attended a post-graduate Diploma in Landscape Architecture at City of Birmingham Polytechnic. He then worked with Maurice Pickering Associates (Landscape Architects and Consultants) before deciding to set up his own business. We believe that it is always better to work with nature, rather than against it. 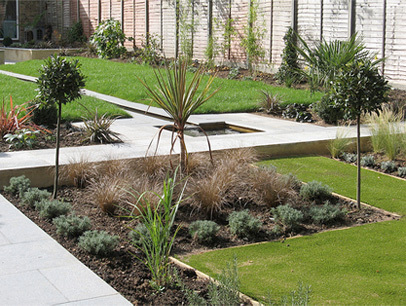 At Steve Hooper Landscapes we provide a professional and friendly service. We believe that gardens should relate to the property to which they belong. We prefer to use organic methods wherever practical. We can work economically in North London, South of the M25 and North of the Thames, but we occasionally work further a field. © 2009 Steve Hooper Landscapes Ltd. Site design by Ben Gourley.